A few days ago, we announced C14, the reliable, secure and affordable data archiving & long-term backup solution starting at €0.002 per GB / month! C14 is totally free during July and August. All operations and recurring fees are free of charge during this period. It's time to give it a try and enjoy the easiness of C14. In this post we will showcase how to create your first C14 archive to store your infrequently accessed critical data (backups, videos, photos, logs, documents, etc.) 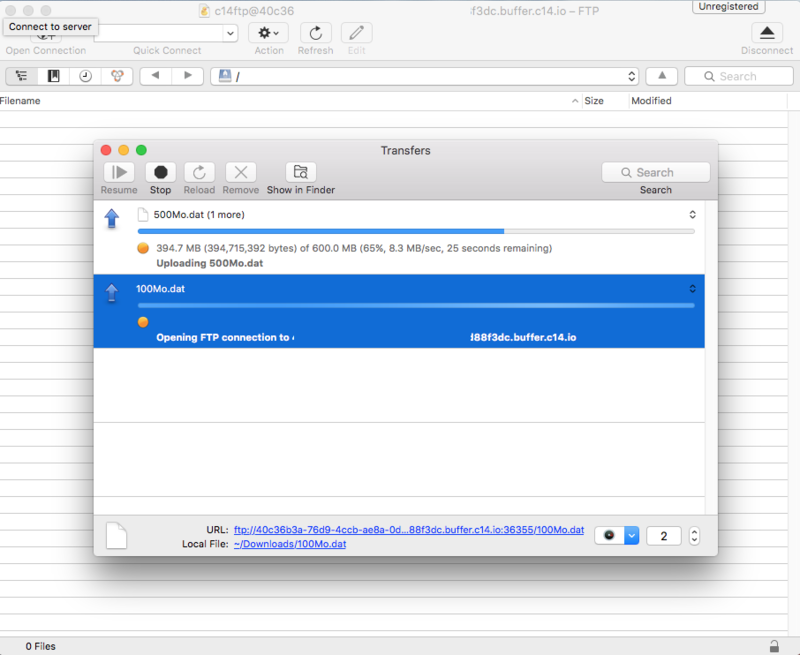 using Cyberduck a libre FTP, SFTP, WebDAV, S3 browser for Mac and Windows. Before uploading your file into your archive, you need to create a safe. From the control panel, on the top navigation bar, select storage and click the C14 link. You land on the Safe list page. From this page, you will create your first Safe clicking the "Add Safe" button. 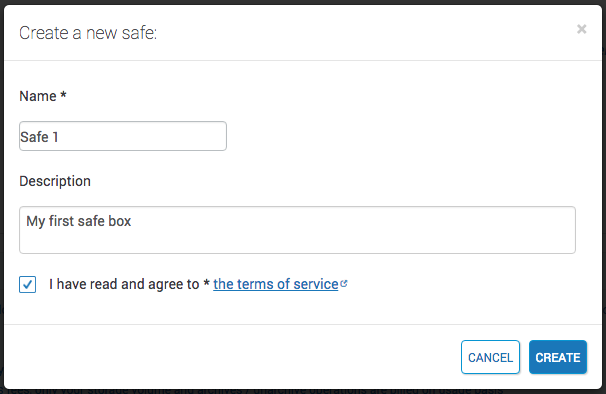 A popover appears where you must input basic information for the safe. Back to the Safe list page, click the "Add archive" of the Safe you created previously. The location: The datacenter your archive will be stored. After inputting your archive information, click the "Submit" button. On the archive list page, click the "see details" link to get your FTP credentials and start uploading your data. Then, click the "connect" button. You are connected and ready to upload your data. Select the files you want to archive and simply drop them in Cyberduck area. Your files will be uploaded. Back to the archive management page on the online control panel, click the "Archives my files" button. Your files will be archived and securely stored into C14. 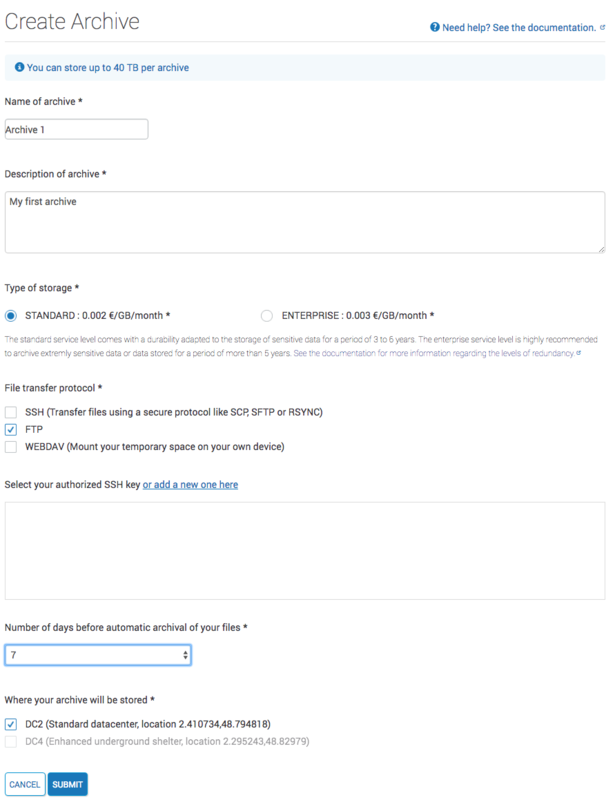 At any time, you can unarchive and retrieve your data clicking the "Unarchive" button from the archive management page. Then from Cyberduck, save on your system the data you need. Sign up now to try C14 today!